Notice: make up is not done by DC, make up is done by artist who cooperates with our shop. Make up may be a little difference with pictures, it is inevitable, please confirm you could accept it when you choose make up. The accessaries in pictures cannot be ordered. 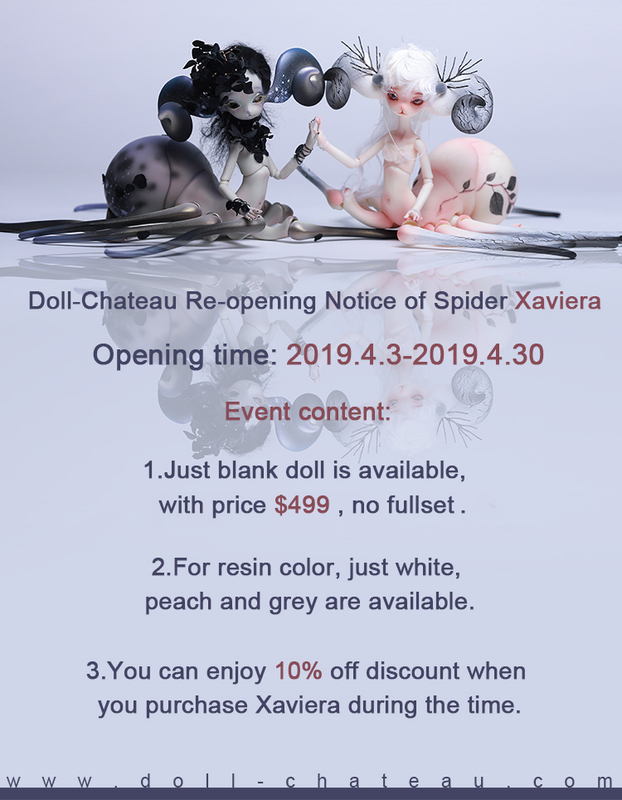 Xaviera is a limited-time doll ,she will be discontinued on 30th,April, 2019. You will get 10% off when you order Xaviera during this period, price $449 is after discount, original price is $499. ★This product includes facemask, birthday card,doll cushion and doll case. ★We send the doll assembled. 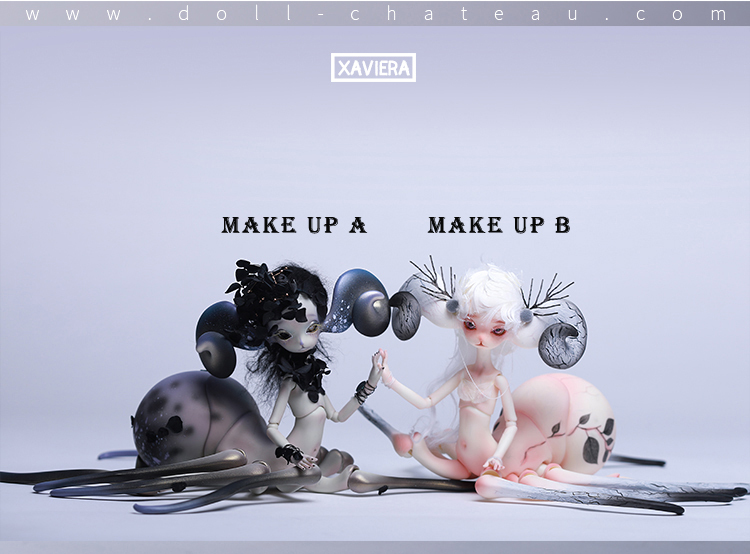 ★If you select the face-up,we will fixed the eye and the eyelash in the head. ★Make up can be a little different because of hand works. ★The color in the image could look slightly different from the actual product. ★Please reach an understanding that shipment may be delayed for manufacturer reasons. You want the doll come with this make up, right?